How has your day been? I've been wanting to create an all matte look for all the matte shadow lovers out there and that's exactly what I did today! 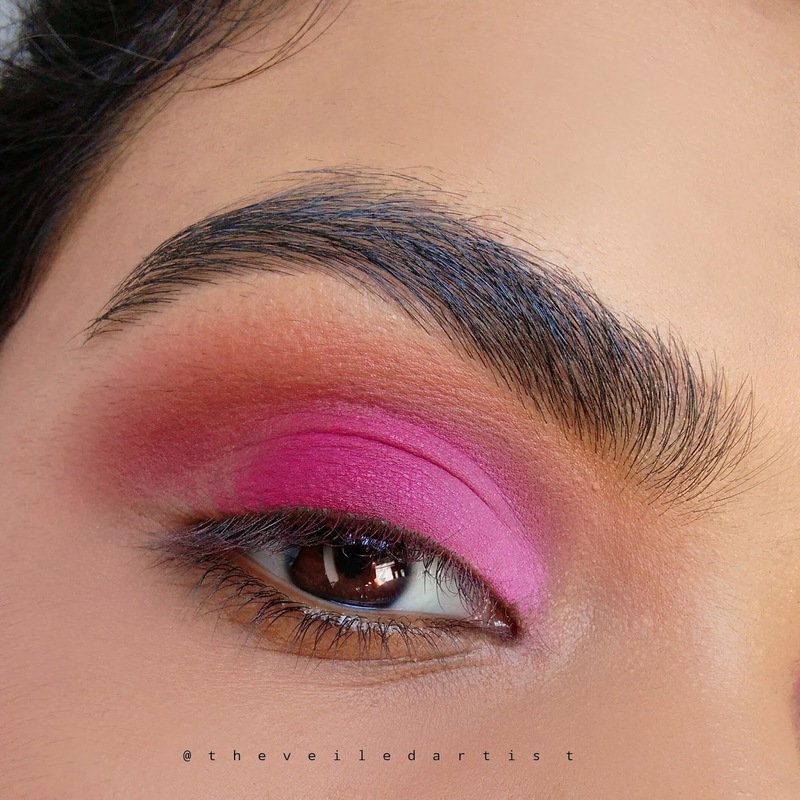 Today's tutorial is going to be on this pretty, pink, ombre eyeshadow look. So let's get started! 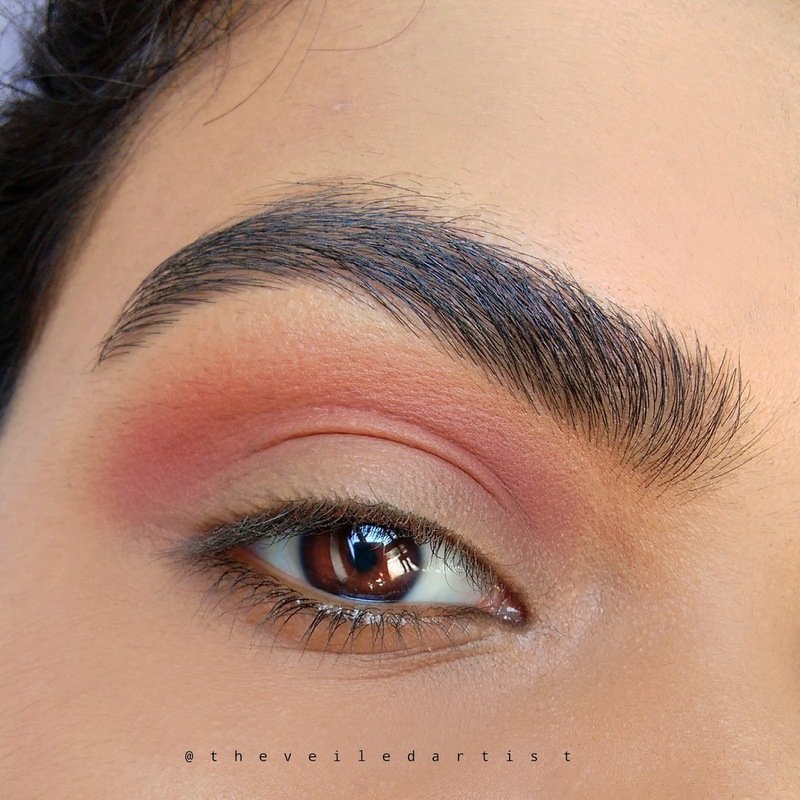 After priming your eyelids, blend the warm brown eyeshadow into your crease and a little above it. 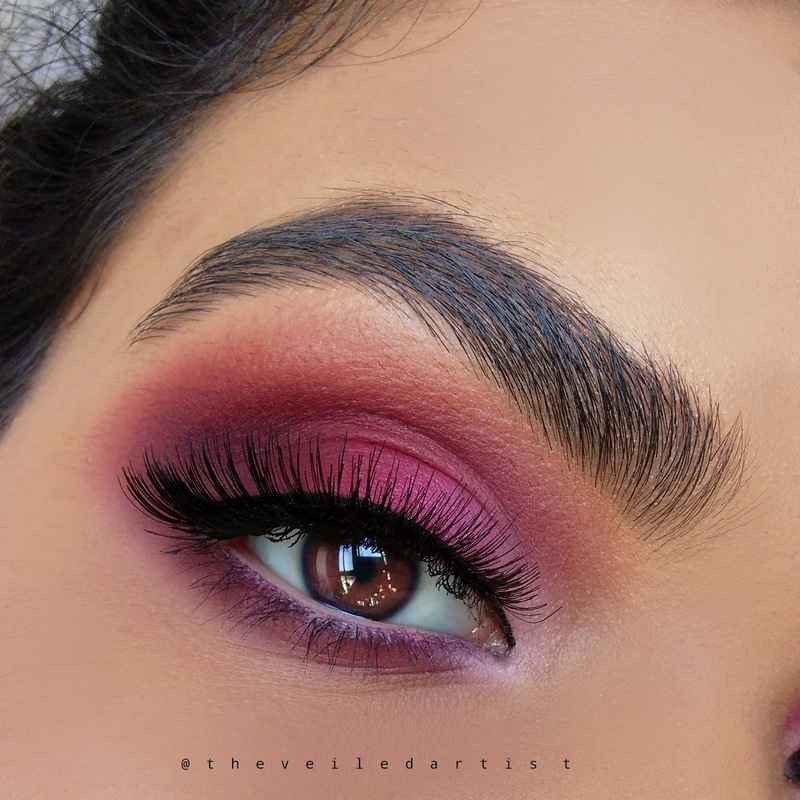 Next, blend the burgundy shadow over the brown we just used but keep this burgundy strictly in your crease and only blur the top edges out. 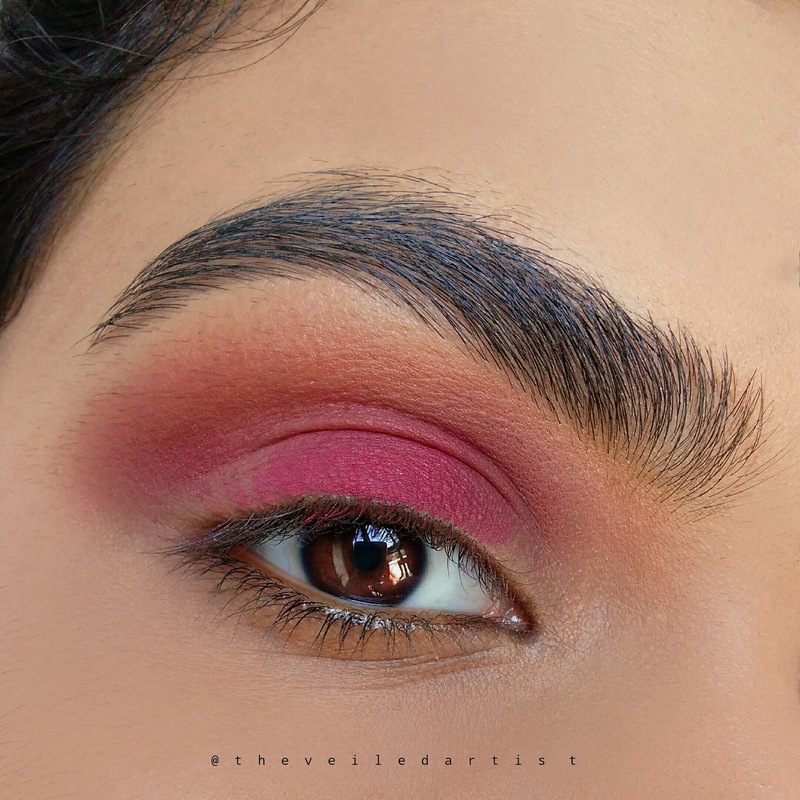 Pat and apply the pink eyeshadow onto the center of your mobile eyelids. 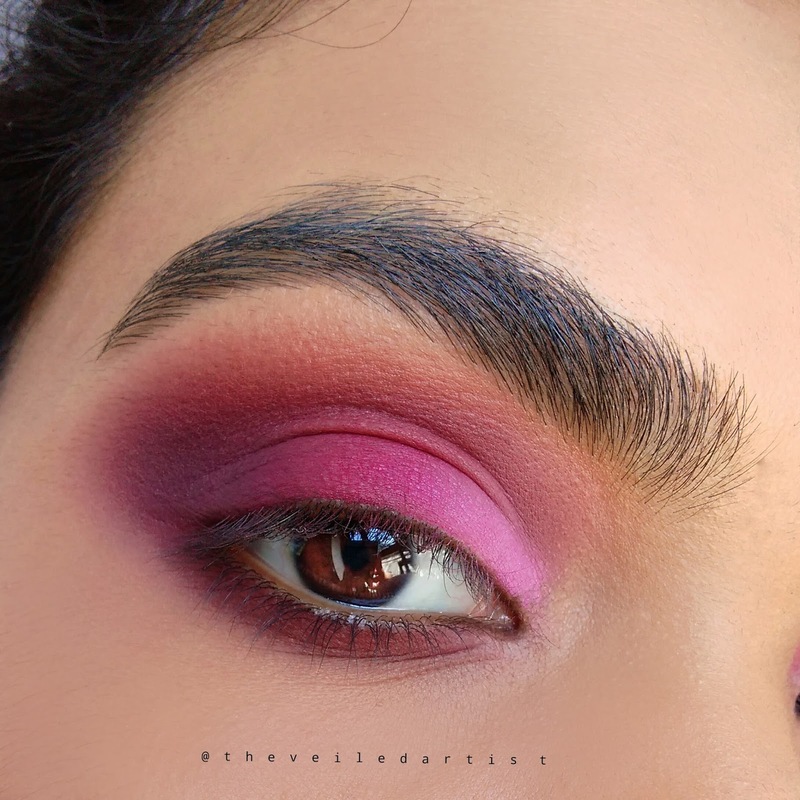 Now pat and apply the light pink eyeshadow into the inner 1/3rd of your mobile eyelids and blend it into the deeper pink we previously applied. 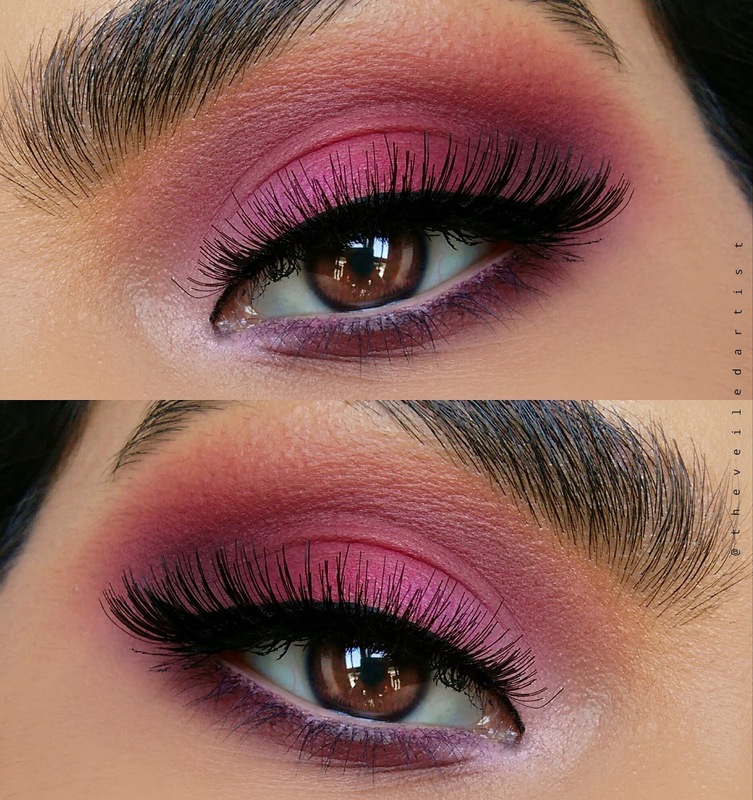 Blend the burgundy eyeshadow into the outer 1/3rds of your eyelids in a smokey C shape and also into the pink in the center of the eyelids. 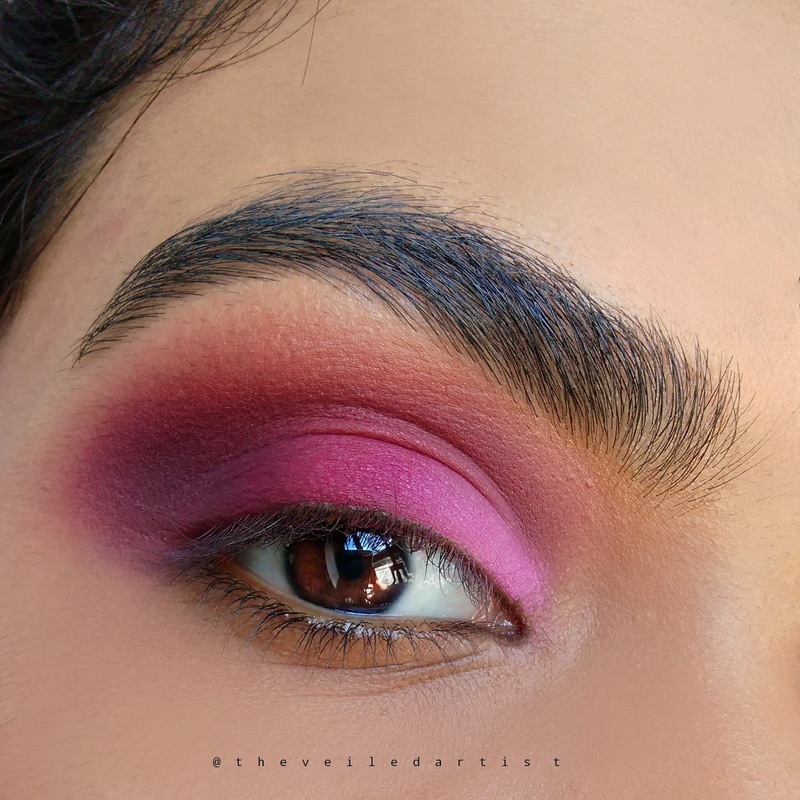 Next, pick some of this same burgundy eyeshadow and blend it into your crease. This will help blend out the edges of all the pink shadows we've been applying. 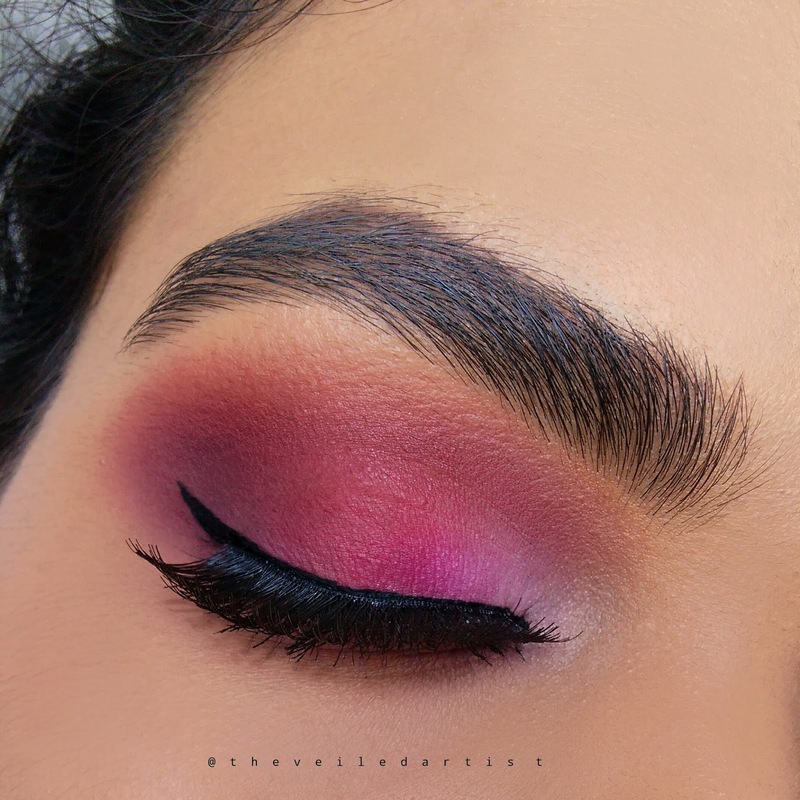 Tap a pencil brush or any small precise brush into the burgundy eyeshadow and then into the first pink eyeshadow we used and blend this all along your lower lashline connecting it on the outer edge with the shadows on the eyelids. 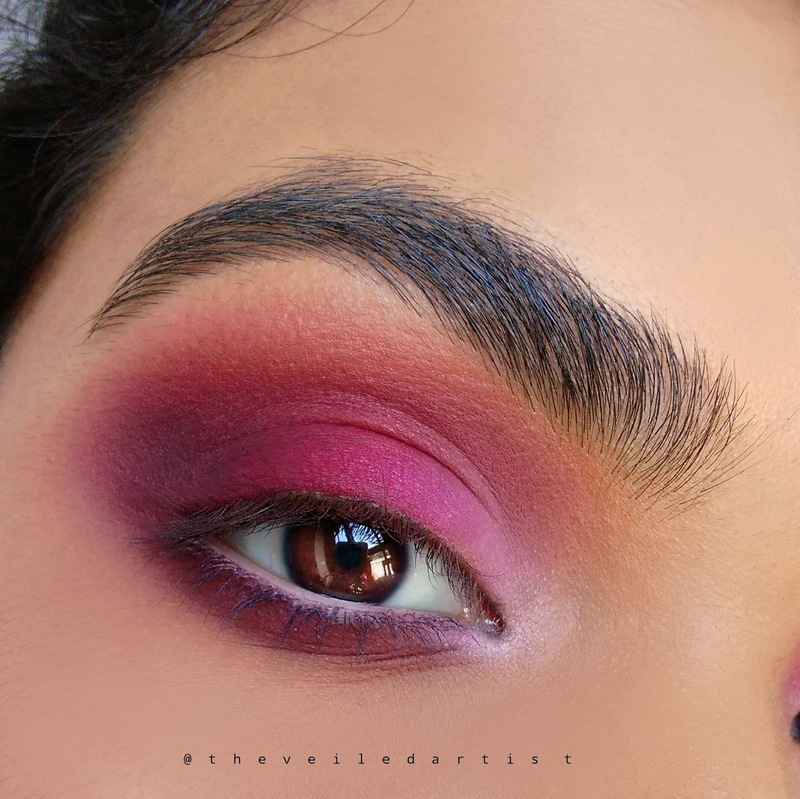 Apply some white eyeshadow into the inner corners of your eyes and blend it into the shadows on your eyelids and lower lashline. 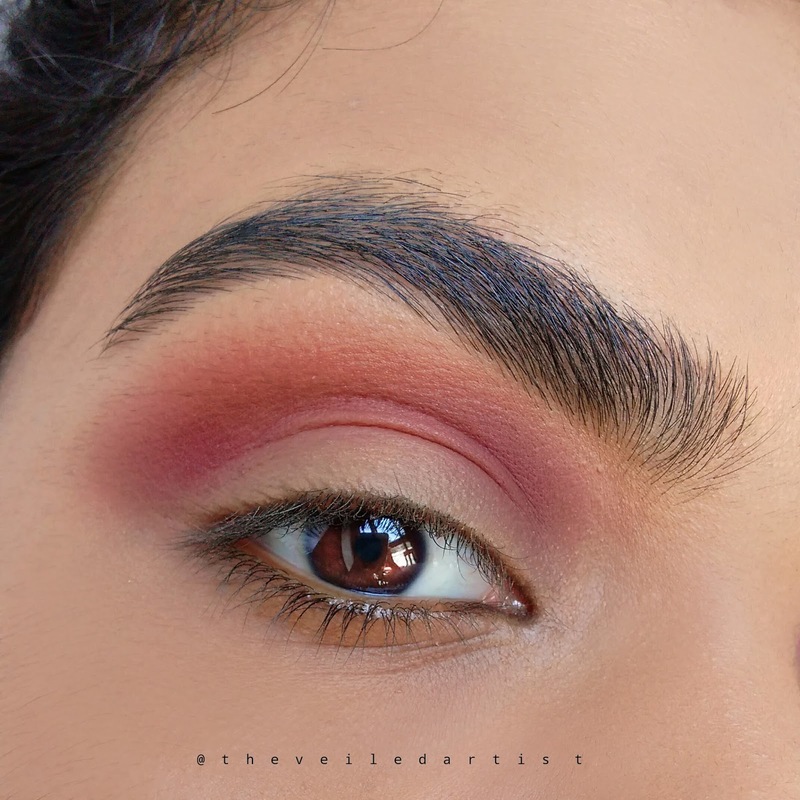 Next, apply a white pencil liner all along your lower waterline, connecting it with this white eyeshadow in the inner corners. Do your winged liner and apply mascara. You can absolutely end this look here as it looks stunning already. But if you follow my page, you know I love my false lashes! Apply your falsies! And you're done loves! 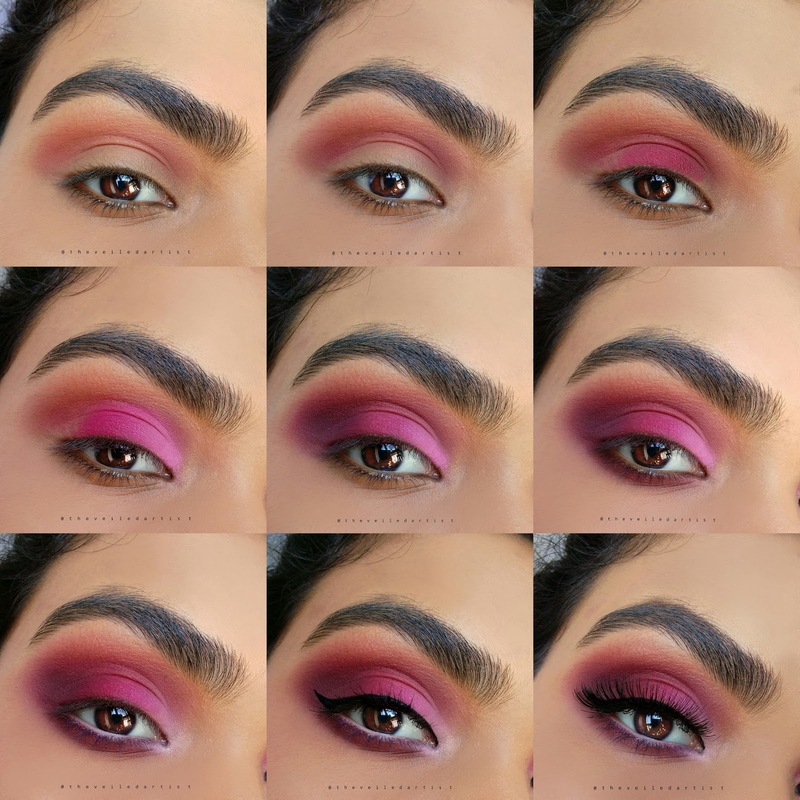 Scroll down to see the full pictorial and products used list. A mixture of LA girl pro concealers in Fawn and Pure beige used to prime eyelids. Thank you so much for reading my loves! I really hope you enjoyed today's look! Comment below what you think about it or if you have any tutorial suggestions! You can check my last post here. It was a review of the all organic Skin and Tonic London Rose lip balm and my last tutorial here! It was on a stunning, Cool Toned Glitter Cut Crease look. Lovely! 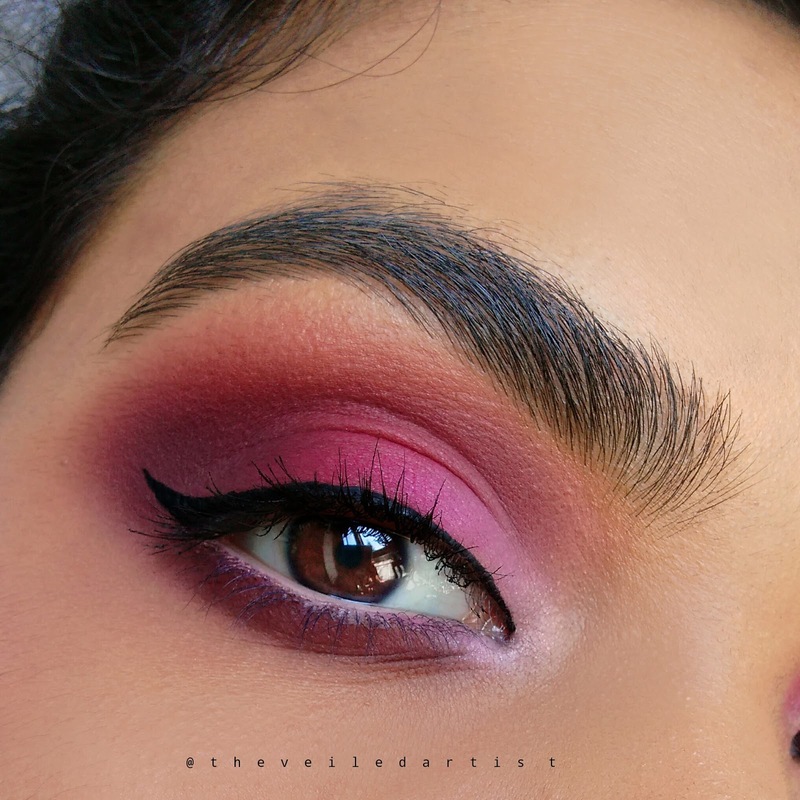 Those shades blend perfectly! Had to share!